Almost two years later. A woman is found brutally murdered on Pepparholm island at the base of the bridge. It turns out that the murdered woman is Margrethe Thormod, General Director of the Migration Agency in Copenhagen, and perhaps the motif is to be found in a scandal around a deportation that recently hit Margrethe personally. Henrik Sabroe starts to investigate the macabre murder with his Danish colleague Jonas Mandrup. Henrik misses his colleague and friend Saga Norén, who is incarcerated in the women’s prison in Ystad, convicted of murdering her mother. Henrik visits her as often as he can and wants her to help him with the new case, but Saga points out that she isn’t a police officer anymore and can’t help him. The same goes for Henrik’s missing children; Saga can’t help and Henrik is close to giving up the search. This last season Henrik and Saga both suffer on a personal level, their special friendship is put to difficult tests and once again events from the past will make themselves felt and by the end of the season nothing is the same anymore for either Saga or Henrik. I said that I needed you more than you needed me. But that isn’t true, is it? No, it isn’t. Everyone chooses a leisure activity. 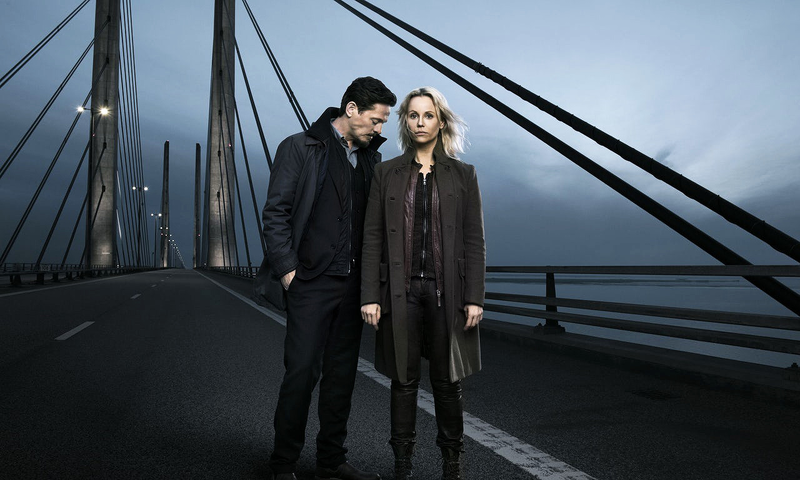 First look at Saga Noren and Henrik Sabroe in Season 4 of “Bron/Broen”.